The IATA Annual General Meeting in Australia for this year! 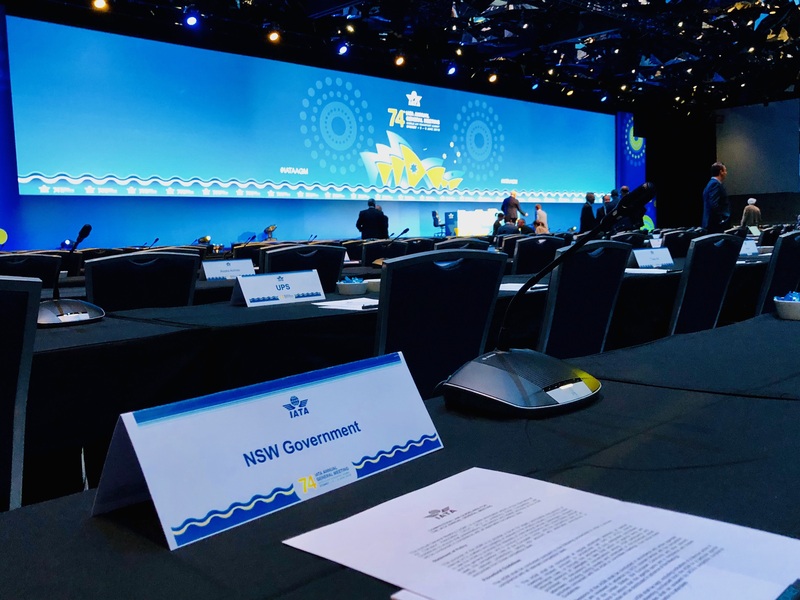 IATA chose Congress Rental Australia to support its 74th Annual General Meeting (AGM) at the ICC in Sydney from the 3rd – 5th June, 2018. 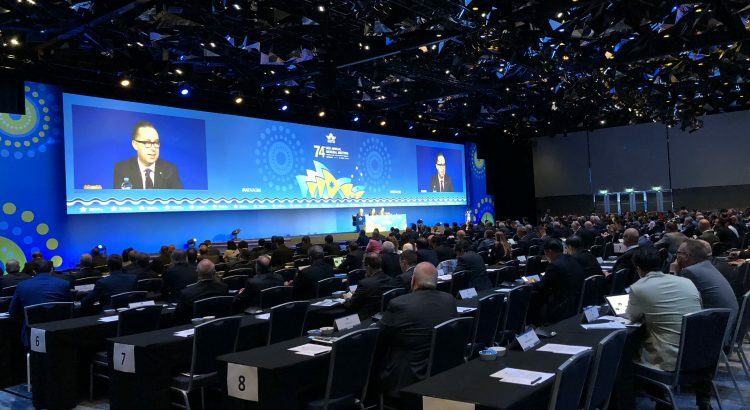 The meeting was the largest annual gathering of airline leaders in the world and it attracted over 1000 industry leaders in 2018. Hosted by Qantas and chaired by Qantas CEO Alan Joyce, the event gave leaders a chance to discuss emerging industry issues and network with members from other airlines. Our local member, Congress Rental Australia supplied the conference microphones and simultaneous interpretation equipment for the second two days of the event. A total of 160 Bosch CCS 1000 wired microphones were set-up in the ballroom of the ICC. The team of Congress Rental Australia also provided the interpretation equipment for the 50 Chinese delegates in attendance. One ISO standard interpreter booth was set-up at the back of the room for the Mandarin interpreters, and the delegates were able to listen to the interpretation through their Bosch headsets. The technical crew ensured that the event was a complete success overcoming excessive cabling issues during bump-in due to the large number of wired microphones used for the event. Such challenges are the every-day business for all CRN members so do not hesitate to contact the one nearest to you!